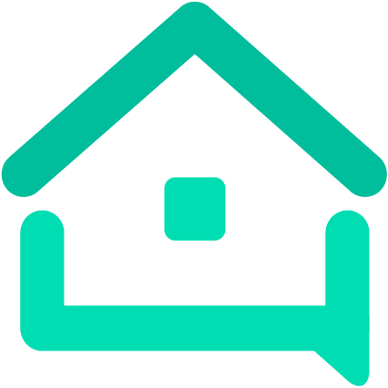 Manager/Housekeeper - Research - We are your AirBnB hosts forum! Air B n B Hosts connect with people to manage and clean their homes for and between guests. Can you please point me in the right direction? I will be extremely grateful! Thank you all so much! In Europe it’s a branch of most real estate agencies. There are tons of stand alone housekeeping companies. Isn’t there something called Airbnb Sorted? @Jess1 That’s one of the many airbnb management companies that operate in the UK which has a pretty mixed bag of reviews for hosts and guests. @summerfun a little confused about your comment. What part of Europe are you referring to? I haven’t heard of airbnb cleaning support being available through estate agents in the UK or Ireland? this is likely to include; a well optimised website, online and social media advertising and which online and offline channels hosts are likely to use ie facebook groups, meet up groups. you can also approach Airbnb Management Companies in the areas in which you want to operate and see if you can go on their roster of cleaners. Everywhere in Southern Europe in all beach towns from Greece to Spain. UK and especially Ireland have healthy job markets in the South of Europe there is nothing but tourism. There is a fierce competition for any kind of Job. Hi @summerfun Of course I understand that there are cleaners throughout Europe who provide services for airbnb hosts. What I was not aware of is that airbnb hosts in Europe would use their local estate agents to find a cleaner. Perhaps others who host in the south of Europe could share their experiences? It depends where you live. Here, the real estate agents manage STR and LTR turnovers. Sometimes they put hosts (their clients who may or may not also be on AirBnB) in touch with their recommended crews and sometimes they organise the clean themselves from their standby crew. They are pretty well known to be a source for a reliable referral when looking for bonded housekeepers. They tend to have a roster of 4 or more cleaners that they trust and can recommend. If you can get on their list this is a good start. They may even swing a few bond cleans your way until you get established. You might try to find out if there is an AirBnB meet up group in your area or a facebook group and ask there. Not 100% sure if this is allowed or frowned upon so another host may like to pipe up and mention if asking the groups would be bad etiquette. I saw a post from you in September, offering services as a vacation rental manager or house keeper in San Diego. Do you still offer this service? What part of San Diego are you located-in?